The Narrow MadLocker™ bike locker provides bicycles with the highest level of security and protection while taking up less space than the original MadLocker™. The solid, heavy-duty construction of these units makes them practically impervious to weather, vandalism, and theft. It also means that the Narrow MadLocker™ bike locker will provide many years of virtually maintenance-free service. Narrow MadLockers™ can park one bike per unit and are stackable. It is easy to add more units, so Narrow MadLockers™ expand with your needs. 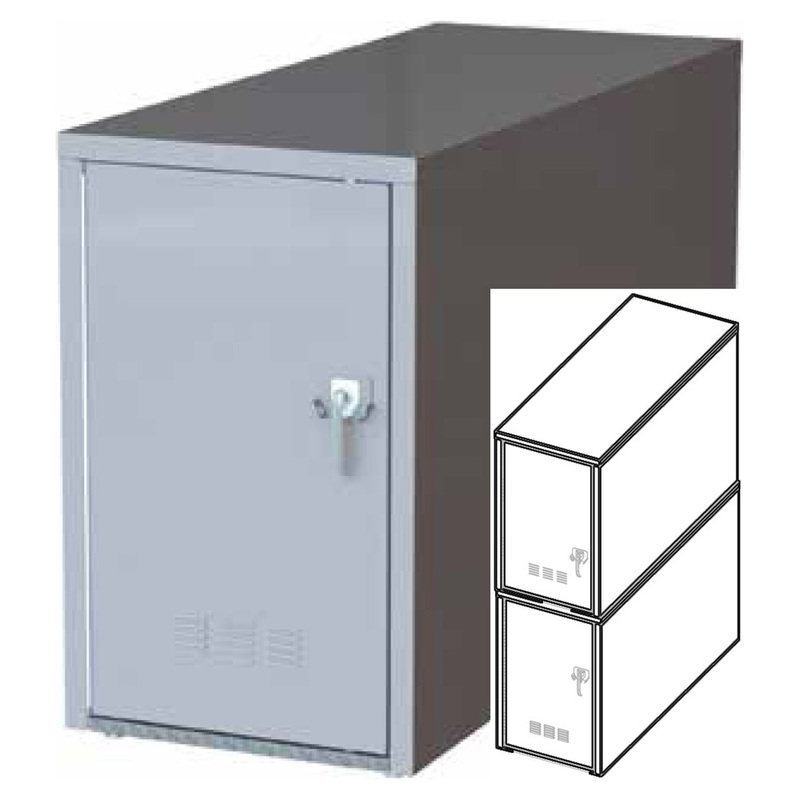 All bike lockers are 31" wide x 75" long x 46" high. (When stacked 31" wide x 75" long x 92" high). Lockers are available in powder coat finish. Lockers come with padlock/u-lock handles, pop-out T-handles with key locks, and a helmet/clothes hook. Other options include locker numbers, perforated doors, and perforated sides. 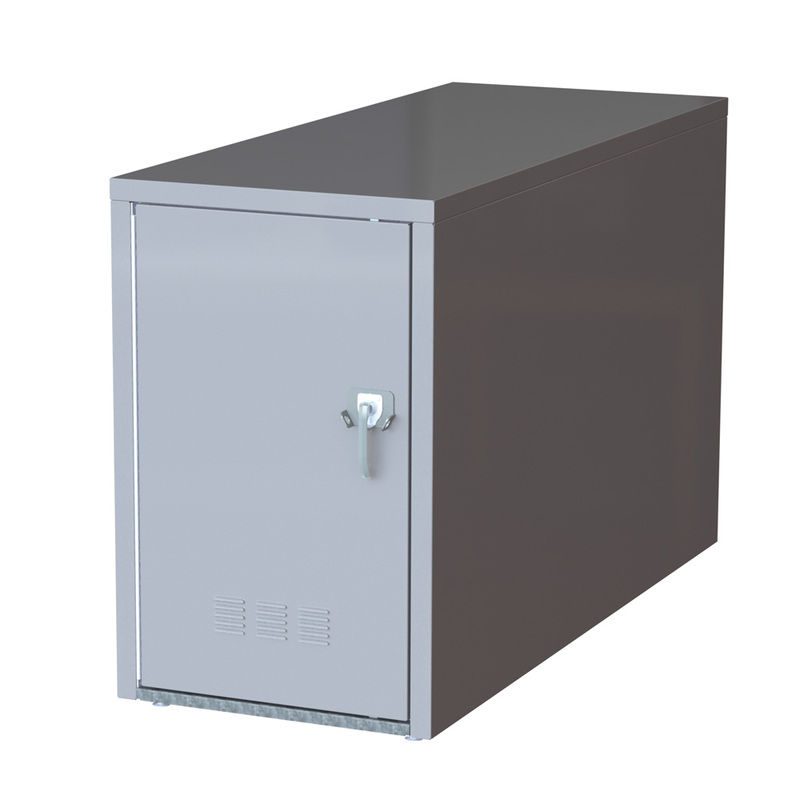 Top Stacked Narrow MadLocker's available in 1 - 5 units. Call for pricing.